A handwritten note often needs to be reworked and completed. 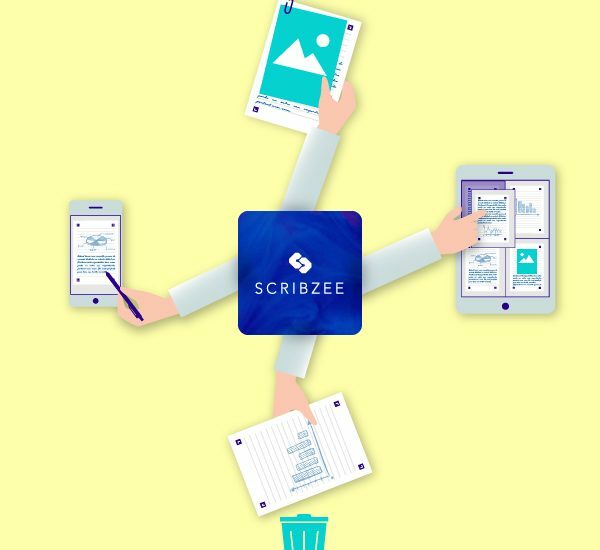 Illustrate a comment with an image, delete a page or add one from another note, change their order… with SCRIBZEE® your notes become richer and richer as your thoughts or project develop. Once your texts have been scanned and filed, this application enables you to edit them very simply. Find and open the note you wish to edit by selecting . To browse through it, just slide your finger across the screen from right to left. Rearrange the pages by dragging them with your finger . Import and insert images stored on your smartphone or tablet into your note, as well as pages from other notes . Select one or more pages . Place them in the recycle bin . Previous Post:Looking for an easy way to share your notes? Next Post:Organise your handwritten notes with a single click with SCRIBZEE!